“A Dark Knight: One Bad Day” picks up in the immediate aftermath of last week’s episode. Everyone at the GCPD believes that Gordon is dead, and the media is reporting the same. There’s a lone holdout though: Bullock. He refuses to believe his former partner is dead. It’s the beginning of a redemption arc for Bullock that’s been a long time coming. Jeremiah and his followers show up at the GCPD, and Bullock is forced into the leadership role without Jim there. Jeremiah notes that he has bombs planted all around the city, and he gives Bullock and the Mayor six hours to evacuate every resident of Gotham. To show he’s serious, he blows up the clock tower. While Jeremiah begins to execute his plan, Penguin goes to Barbara and Tabitha with his own. He wants to get rid of Jeremiah and make some money while doing so, and he manages to rope Tabitha and Barbara into it by appealing to the former’s sympathies for Butch. He insists that some of the money they’ll get will go towards paying Hugo Strange to fix Butch, but I wouldn’t be so quick to believe him. Also, Penguin’s plan is terrible, and it goes off the rails almost immediately. The start of this episode, kicking off three storylines, ends up underlining one of the major problems with the back half of this season. By introducing so many characters into the mix, Gotham is forced to cram them all into an overarching story that simply doesn’t call for it. This is Jeremiah’s battle, and everyone else is a tertiary character at best. 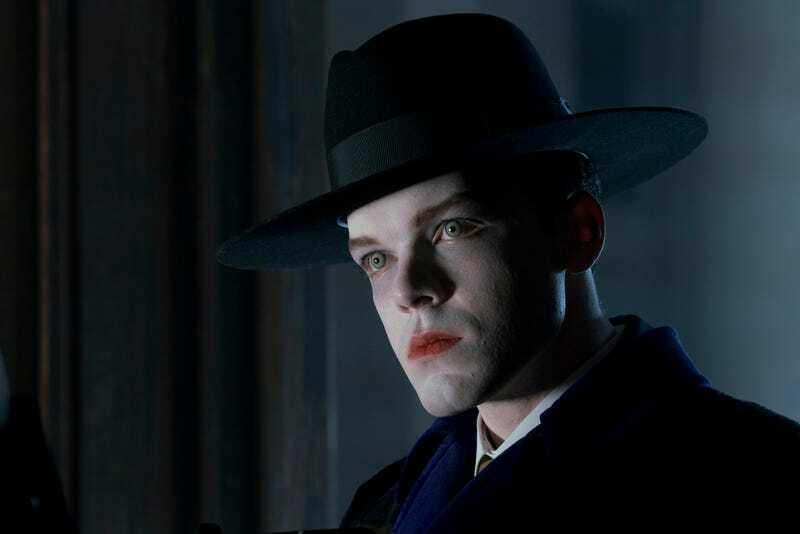 That’s a shame, because as good as Cameron Monaghan has been I’d rather see the show continue to tell stories with the main villains of Penguin, Barbara, and Nygma. Gotham finally got to a place where the main characters were forced to adapt to new circumstances, only to then shift the focus of the narrative. There have been some other good arcs this season though. While Bruce’s misadventures in being a young, drunk bachelor weren’t much fun, his realization of what matters to him has been rewarding. In “A Dark Knight: One Bad Day” he kisses Selina, and helps rescue Alfred. He’s well on his way to being the hero we know he’ll become. How did everyone feel about the fake out with Alfred? It felt a little like the show having its cake and eating it too, in my opinion, milking our sympathies for Alfred in an exploitative way. It looks like we’re headed towards a showdown between Gordon and Nygma over Lee Thompkins. That should be...something. For once, Gordon isn’t the only hero in this episode. He brings the location of the bombs back to the GCPD, to a room full of cops that can’t believe he’s alive, but it’s Harvey that goes out in the field and dismantles the bomb that acts as the central nervous system for all of them. He gets his moment of glory back at the station too, as everyone gives him a standing ovation. Hopefully this means we’re finally getting the Bullock we all know and love back. 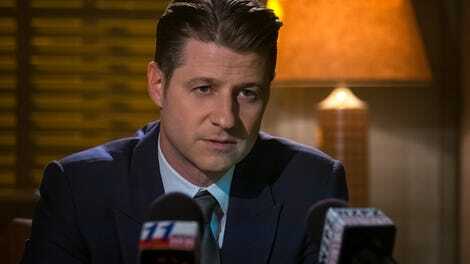 Gotham isn’t done with the Ra’s stuff, and that’s incredibly disappointing. Again, there are way too many characters and storylines floating around, especially considering that the finale is right around the corner. As upset as I am about Gotham getting a little exploitative with Alfred, I’ll be even more livid with the show if they actually kill off Selina in the season that finally made her a compelling character and gave her a meaningful story with Bruce.